I began my career in special education as an LSA in 1991. Since then I have had the opportunity of teaching children, managing teams and leading a school whilst studying to develop my own knowledge and understanding of learning difficulties and effective school based provision. 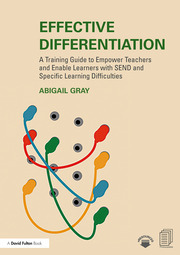 More recently as a SEND consultant, and as a trainer and author, I have been keen to promote the central position of effective SEND provision in ensuring equality of access to the best possible education for all.